How Brands Grow Part 2 is about the fundamentals of buying behaviour and brand performance - fundamentals that provide a consistent roadmap for brand growth, and improved marketing productivity. 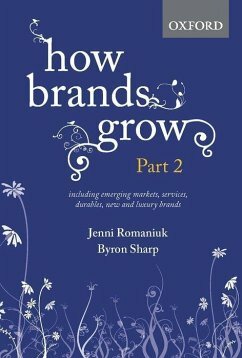 This book is for readers of the first 'How Brands Grow' who want to learn more about the key concepts and their application. Included in Part 2 is an expansion on key areas such as Mental Availability, Physical availability, and how to leverage Distinctive Assets. Second, this book is for marketers operating in areas such as e-commerce, emerging markets, services, and luxury markets. We have expanded the range of examples to cover these categories and countries. This includes examples from financial services, telecommunications, fast food, supermarket and fashion retailers, phone handsets and cars throughout the book. Following the success of international bestseller How Brands Grow: what marketer's don't know comes a new book that takes readers further on a journey to smarter, evidence-based marketing. 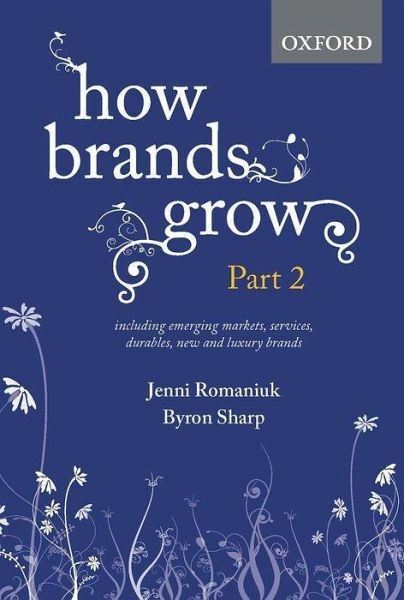 How Brands Grow Part 2, by Jenni Romaniuk and Byron Sharp, is about fundamentals of buying behaviour and brand performance - fundamentals that provide a consistent roadmap for brand growth, and improved marketing productivity. Ride the next wave of marketing knowledge with insights such as how to build Mental Availability, metrics to assess the strength of your brand's Distinctive Assets and a framework to underpin your brand's Physical Availability strategy. Learn practical insights such as smart ways to look at word of mouth and the sort of advertising needed to attract new brand buyers. This book is also a must read for marketers working in emerging markets, services, durables and luxury categories, with evidence that will challenge conventional wisdom about growing brands in these markets. If you've ever wondered if word of mouth has more impact in China, if luxury brands break all the rules of marketing or if online shoppers are more loyal to brands or retailers, this book is for you. If you read and loved How Brands Grow - it's time to move to the next level of marketing. And if you haven't...get ready - This book will change the way you think about marketing forever. 9 Online shopping-is it different?